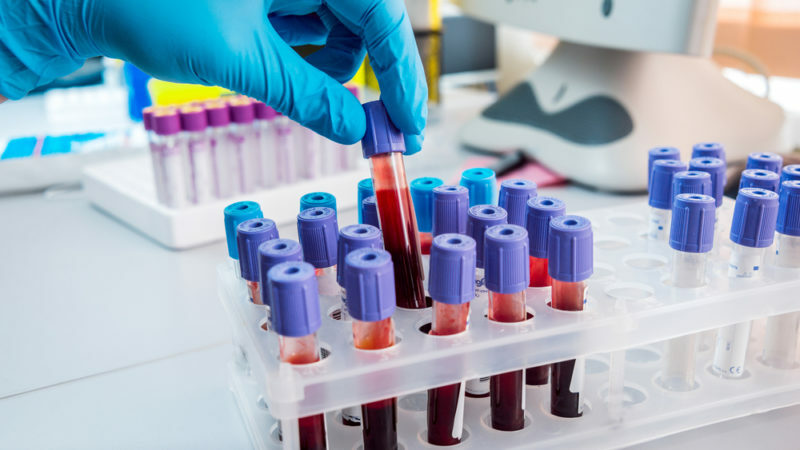 · According to Jake Siegel at Fred Hutchinson Cancer Research Center, recent trials show that simple blood tests, or liquid biopsies, are a reality and may serve as an effective alternative to invasive tissue biopsies. · How can donors support further research and trials of liquid biopsies? What does this mean for modern medicine? How will this change healthcare? · Check out this interview with Dr. Tom Uldrick at Fred Hutchinson. For years, the idea seemed as far-fetched as a fairy tale. The appeal of a simple blood test to detect and analyze cancer is obvious. It could replace the necessary evil of tissue biopsies — invasive, often risky and painful procedures to collect tumor cells with a needle or through surgery. A vial of blood sounds like a better trade than a chunk of tissue. Recently, the idea of these so-called “liquid biopsies” seems less like a fantasy. The U.S. Food and Drug Administration approved its first liquid biopsy test in 2016. It could detect mutations in a single gene in lung cancer patients. Genetic sequencing technology has evolved rapidly since then. Today at the American Association of Cancer Research annual meeting, researchers presented results from a clinical trial that found a commercial blood test was as effective as tissue biopsies at detecting multiple genetic mutations in lung cancer patients. All of the mutations have targeted drugs available for them, meaning the liquid biopsy could help guide treatment. Read the full article about blood tests as an alternative to invasive tissue biopsies by Jake Siegel at Fred Hutchinson Cancer Research Center. If you are looking for more articles and resources for Diseases and Cures, take a look at these Giving Compass selections related to impact giving and Diseases and Cures. Giving Compass' Take: • The Center for High Impact Philanthropy has determined that vaccinations are an opportunity for funders to make a significant impact with their donations. • What countries have the greatest need for vaccinations? What vaccine research is needed to improve global health? • Learn more about the importance of immunization. It costs about $2 to fully protect a child against measles and rubella, making the vaccine one of the best buys in global public health. Yet, in low-income countries, measles kills more than 110,000 people annually and impacts 20 million more despite the availability of this highly effective, inexpensive vaccine. Rubella can have grave consequences for pregnant women and their babies; some 100,000 children are born each year with congenital rubella syndrome that results in multiple birth defects such as heart problems, deafness, and blindness. If you are ready to take action and invest in causes for Cancer, check out these Giving Funds, Charitable Organizations and Projects related to Cancer.